Windows 10 supports changing individual folder icons for easy identification, but it does not allow us to change folder icon color. 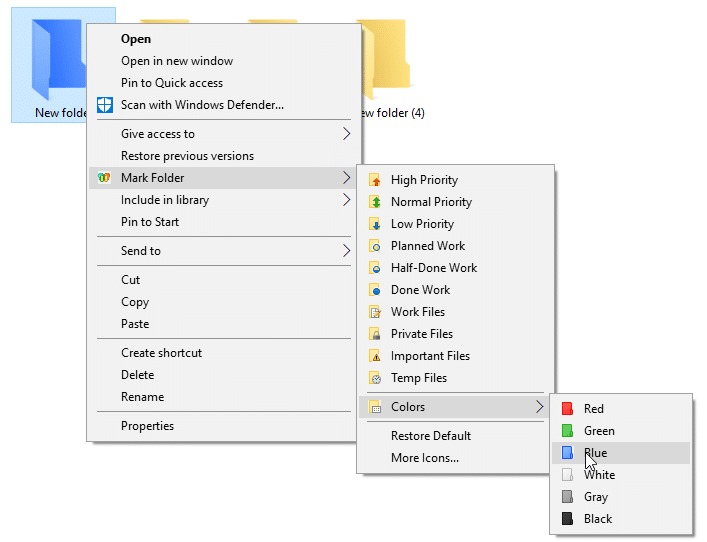 If you are someone who likes to set different colors to different folders for easy identification or to have a different color than the default folder color, you have no option but to use third-party tools to change folder icons colors in Windows 10. 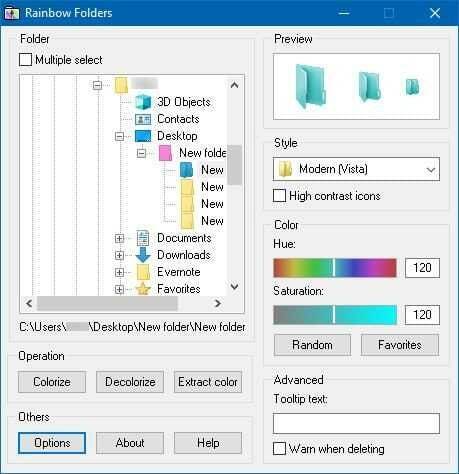 Luckily, there are a bunch of software out there to enable you to change folder icon color in Windows 10. 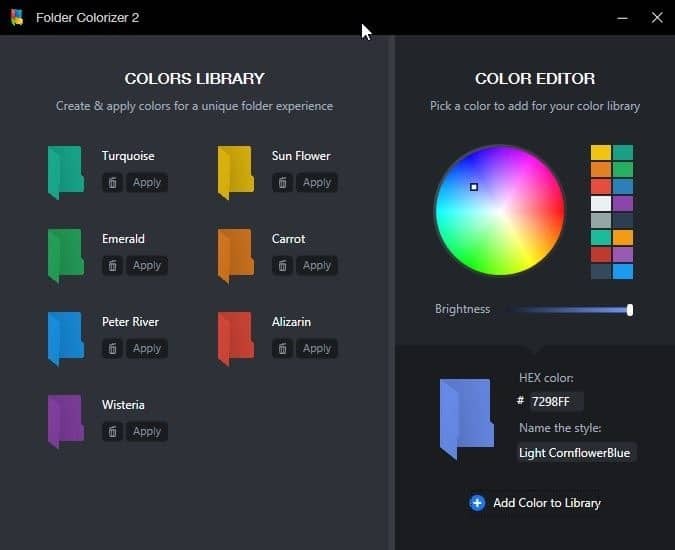 In no particular order, following are the some of the best free folder color changing utilities out there for Windows 10 operating system. Folder Painter is a free software designed to quickly change folder colors in Windows 10 and earlier versions. In addition to default colors, you can also use custom colors in Folder Painter. The ability to use custom folder icon is another worth mentioning feature of Folder Painter. 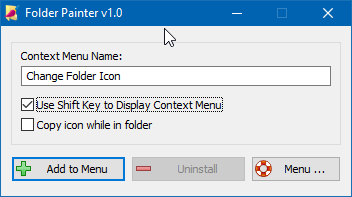 If you don’t want to clutter the context menu, you can configure the Folder Painter entry to appear only when you hold down the Shift key and then right-click on a folder. To do that, select Use Shift Key to display context menu option that you get upon running the program. Folder Painter is a portable utility, meaning it doesn’t require an installation. 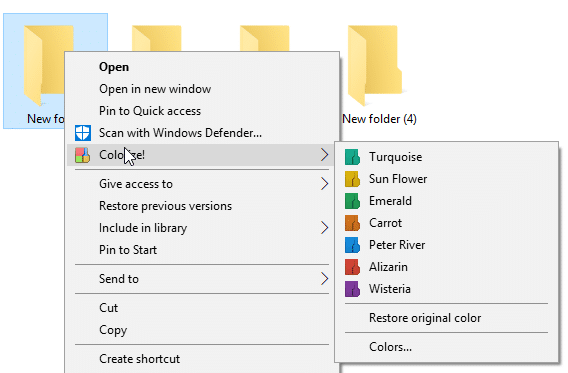 Lastly, Folder Painter is our favorite folder color changer for Windows 10. 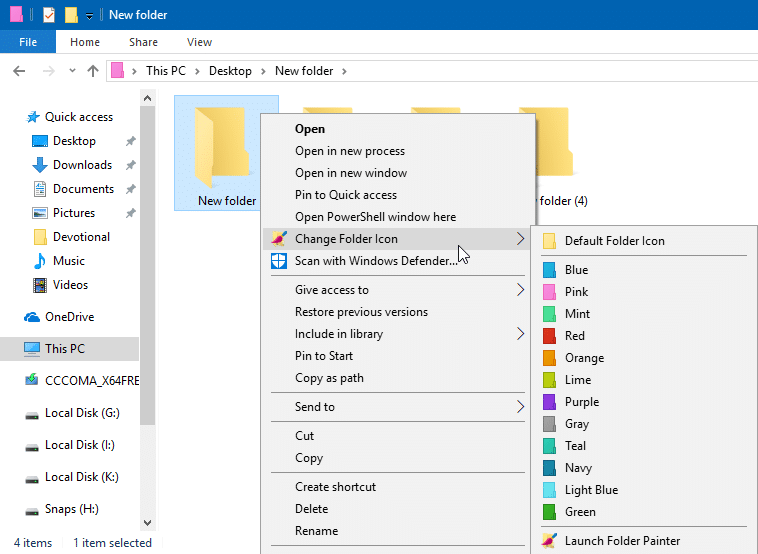 Folder Marker is a free utility which lets you set different colors to different folders on your Windows 10 machine. 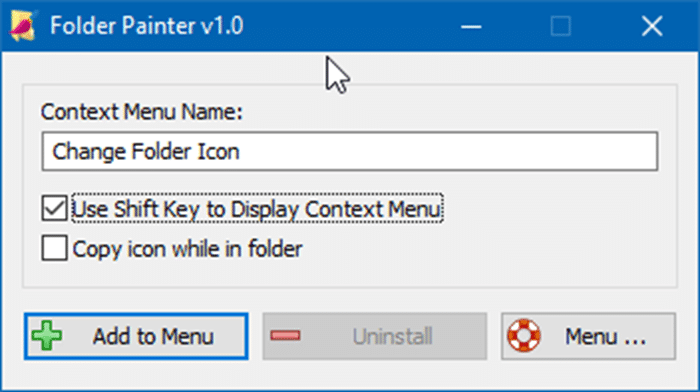 The program is easy to use and can be accessed from the context menu. You can restore the default color of the folder by clicking the Restore Default option. Click More Icons to see more colors and folder icons. Folder Marker Home and Pro versions are also available with additional features. 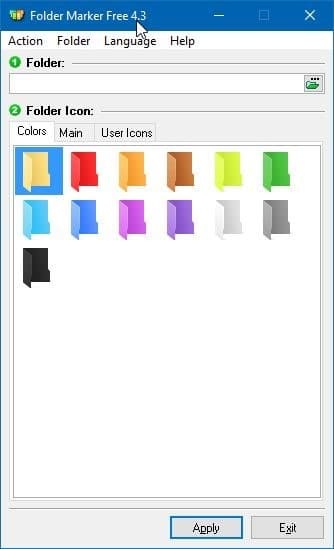 Folder Colorizer is a fairly popular folder icon color changer for Windows 10. With Folder Colorizer version 2.0, you can set beautiful colors to your folders for easy identification. There is an option to choose a custom color as well. With default installation settings, it sends anonymous data to the developer. You can prevent it from sending data my unchecking Send anonymous data option during the installation. Besides that, during the installation, you might see the following screen where you need to click the Skip link to continue installation without paying for charity. The program is currently in Free Beta. Rainbow Folders is yet another free software out there to enable you to change folder icon colors in Windows 10 operating system. The program has not been updated for years but works without any issues. The tool also comes with a built-in option to rebuild the icon cache. The option is useful if you cannot see the newly applied color. Rebuild the icon cache to load the new folder color.